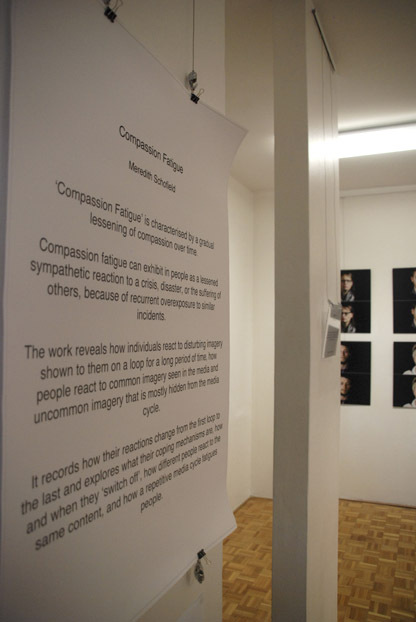 Thanks to everyone who attended the opening of my latest work ‘Compassion Fatigue’ at the Chrissie Cotter Gallery, it was a great night! The exhibition is open Wed-Sun 11-6:30pm until the 17th of Feb! Hope to see you there! Filed under Compassion Fatigue, Exhibition, Project.